I love my Kindle. LOVE my Kindle. I find that I read a lot more than before I had it. 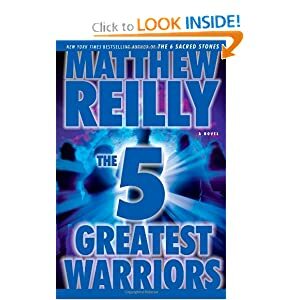 Just recently I finished a series of books by Matthew Reilly. I enjoy a good action read, and these are just that. Great summer books. Even if it isn't quite summer yet. All of them are about an Australian adventurer. The first is an essentially stand-alone book, where the hero and his group of friends attempt to save the world. The second takes up where the first one left off, and once again the world needs saving. (this happens a lot more than we would think if we were to believe these action novels!) 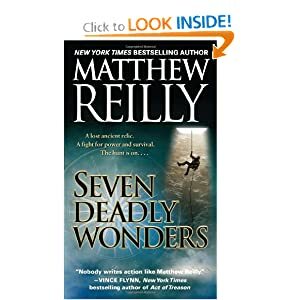 A wonderful and fast-paced book. But DO NOT read this one if you are not prepared to read the third book essentially right afterward. You will not be happy. Don't say I didn't warn you. The third book ties up all of the loose ends. An excellent ending! 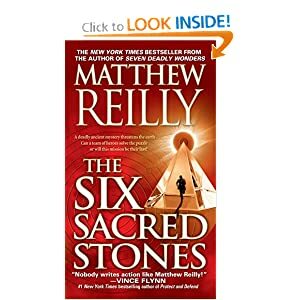 Reilly has written several other books - his first was called "The Contest" and is a very engaging story about a guy who is teleported into this interplanetary battle in the New York public library. A great story and well worth the read!